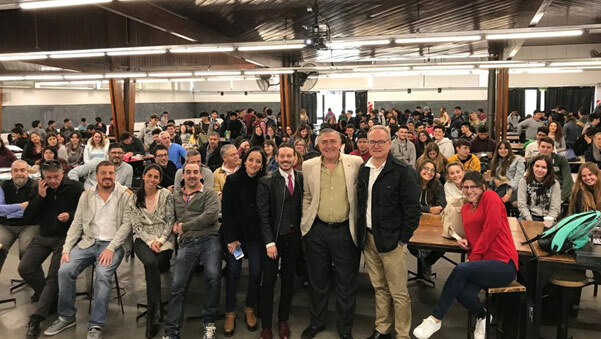 Prof Jacques Laubscher delivers a talk to an audience of about 300 at the La Plata School of Architecture in Argentina. Prof Laubscher aimed to build on the existing MoU between TUT and The University of Cordoba. The visit also explored the possibility of developing a a dual degree. Prof Laubscher met with representatives from Brazil who are offering architecture courses in English. He also attended different classes at Cordoba to gain first-hand experience how they are teaching large classes.